Do WCAG Guidelines Apply to Kiosks? The Web Content Accessibility Guidelines (WCAG) are meant to serve as instructional for developers and designers alike as they deploy web-based content. While WCAG’s “web-based content” guidelines refer to any website or application developed for use at home, work, or the public, they have not been explicitly designated as best practice guidelines for kiosk and public devices for self-service usage. When the topic of kiosk accessibility arises, WCAG and Section 508 guidelines are not the first regulation that come to mind. Instead, the American Disabilities Act (ADA) offers specific hardware requirements for kiosk manufacturers and deployers. Details like screen height, keyboard reach, and approach clearances for wheelchair access are critical factors in the accessibility of a device for differently abled individuals. Physical kiosk hardware can be easily measured, tested, and monitored for ADA compliance while kiosk software and the applications that run on kiosks are a slightly different beast. The kiosk application or website should use WCAG as instructional for best practices, but the program will need additional accessibility programs and/or hardware support in order to fully function for the differently abled. Take, for instance, a kiosk built in line with all ADA compliance rules. The web application running the transaction or conveying information should certainly offer the recommended non-text content, video & audio alternatives, and keyboard accessible content recommended to be viewable by those with vision or hearing impairments. Unfortunately, even if the application follows all of the WCAG guidelines, the kiosk may not be compliant if it does not offer physical options, supplemental hardware, and/or add on applications that make these features accessible. For instance, even if the website or application integrates appropriate audio alternatives for written content, it will still require software such as JAWS and a set of headphones for users to hear that content. Similarly, if the website or application incorporates captioning for those that are hearing impaired, the proper accessible keyboard options and/or zoom text app must also be available for users to navigate easily. In short, developing the website to be compliant only gets physical kiosk deployments half way there. The kiosk needs to utilize the proper accessible tools and hardware to leverage the accessibility features implemented. Additionally, the prospective user’s physical constraints can heavily impact the design needs of the application. One example; navigational items need to be low enough for those with physical limitations due to wheelchair height and/or an individual’s ability to raise their arms. The location of the navigation can be lowered by adding an accessibility button to the bottom of the screen that shifts the location of all buttons to the bottom of the touchscreen. A second option would be to build the application locating key navigation buttons at the bottom of the page. In both cases, these are application or website design features that could be helpful to consider and would alleviate the need to build adjustable hardware or high/low kiosks. 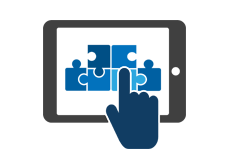 As often advocated by accessibility experts, designing with accessibility in mind is an important part to a successful website or application. 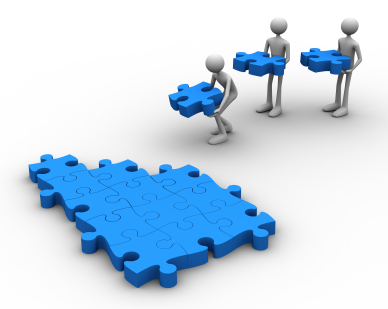 Kiosk projects are often begun after the application development is complete. Many browser based applications and websites currently deployed, find themselves “kiosked” into a locked down, public facing application. As a result, if the initial website or application is not compliant, it may be a costly expense both in time and in resources for a redesign or post-design accessibility update. In this way, kiosk applications are no different from browser-based applications or websites. They require advanced planning in order to make the appropriate decisions from the beginning that will benefit and improve accessibility without making it a late-game decision to scrap major design features because they can not be made accessible. If your website or application is WCAG compliant, it is very simple to make your kiosk application/deployment compliant. Once the website or application is compliant, the kiosk hardware that supports accessibility must still be integrated/included. Kiosk hardware & placement must be ADA compliant. Simply put, kiosks need to follow WCAG guidelines and more in order to meet the minimum best practices for kiosk accessibility. Picture the scene: You’ve managed to get to the shops, you’re excited you know what you want and you’ve got the money to pay for it. You’re in a wheelchair and there’s only steps, no ramp in to the shop. How do you feel? Pretty deflated at the very least I expect. The ‘digital high street’ is a convenient way to shop without having to tackle the barriers disabled shoppers face in store. What better time than now to review the online accessibility of some popular UK retailers including Boots, Tesco, House of Fraser and more. To evaluate a website’s online accessibility, they were audited against the Web Content Accessibility Guidelines from the W3C (WCAG 2.0). All sites failed to meet Level AA of the WCAG 2.0 guidelines so disabled users would find it difficult to purchase a product. Half of the websites totally blocked users at certain points in their online journey. 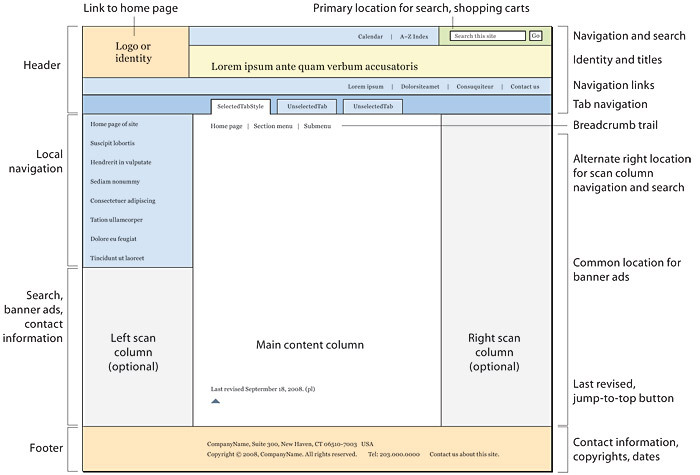 Tesco and House of Fraser provided clear and consistent visible focus – a navigational technique informing the user of where they are on the page visually. Essential for sighted users who rely on visual cues to navigate with a keyboard. House of Fraser highlight the selected navigation item with a pink underline, clearly detectable from the text around it. Only half of the websites implemented ‘skip to’ links so keyboard and screen reader users could also share the privilege of skipping lengthy navigation menus and going straight to the main content. House of Fraser excelled here too. Joules’ skip links were designed to be hidden for sighted users but consequently, sighted keyboard users were unable to take advantage of this functionality. All retailers were pretty good with use of alternative text with appropriate and descriptive alt tags on images allowing users with visual and cognitive disabilities to access the same content as everybody else. Providing context to screen reader users is fundamental for those who are not able to visually group information or comprehend it’s meaning from how it’s been presented visually. All retailers at one point or another had links that did not make sense out of context such as Mothercare.com’s use of links such as ”remove” and “edit”. Those unable to see the visuals that the links ”remove” and “edit” sit beneath would struggle to know what these prompts relate to. 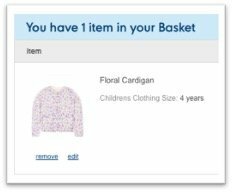 Generally, retailers have a visual indication when sizes are out of stock but often there was no verbal notification that a size was out of stock, all sizes would be read out, implying they are available. A screen reader user would be unable to choose a product size, at which point they’d need to either give up or request assistance. Online retail could be the ideal solution for those who suffer physical difficulties when shopping in store and most retailers had a reassuring accessibility statements full of good intentions but they need to act further on this by implementing WCAG 2.0 to significantly improve accessibility. They should also consult with accessibility and UX experts to fully understand the needs of disabled customers and the technical solutions required to provide accessibility. If you want to find a digital agency with a background in web development, accessibility, usability, App design and build, feel free to get in touch with the friendly team at focusgov to discuss your project. My tilted reflection stares back at me as I ponder whether I’ll ever get around to hanging this full length mirror up on the wall. For months it has been leaning there next to the canvas prints that long for a nail to sit upon, far away from my clumsy footsteps. Realistically, that isn’t likely to happen until my toolbox pries itself from between the lawnmower and empty shoeboxes I’m convinced I’ll find a use for. What I want is for someone to bring my toolbox to me, hand me the best tools for the job and show me how it’s done. If monitoring and assessing the accessibility of your websites is your mirror to hang, I’m about to bring you your tools. Whether you’re just getting in to the accessibility swing of things or you’re well practiced in making a website accessible, this responsibility can be very daunting. There are so many reasons a website could become inaccessible and they’re not always easy to keep on top of. Really nice site where you can create stylish and accessible colour palettes based on WCAG Guidelines of text and background contrast ratios. The free aXe Chrome extension is an accessibility testing tool that returns zero false positives. You can run audits in the browser and it will show all accessibility errors along with an explanation of the broken rule (from WCAG 2.0 and section 508) and the corresponding standard. Accessibility Checker is an innovative solution that lets you inspect the accessibility level of content created in CKEditor and immediately solve any accessibility issues that are found. This web dashboard automatically performs daily tests of web pages. Graphs help you track improvements and regressions over time. It’s especially useful for non-developers to see how your sites perform. tota11y helps you to visualise how your site performs with assistive technologies. Great for those with no prior accessibility knowledge as it help you to visualise accessibility violations (and successes), while educating on best practices. The best tool though? User research. There’s no better way of finding what needs fixing than by watching someone navigate your site with the use of a screenreader or other assistive technology. Just like looking in a mirror, you’ll never be able to see what someone else does. If you want to find a digital agency with a background in web development, accessibility, usability, App design and build, feel free to get in touch with the friendly team at focusgov to discuss your project https://www.focusgov.co.uk/enquiries/new. July 25, 2012. “About 56.7 million people — 19 percent of the population — had a disability in 2010, according to a broad definition of disability, with more than half of them reporting the disability was severe, according to a comprehensive report on this population released today by the U.S. Census Bureau”. I have been reading materials, watching tutorials, writing accessibility code, and learned that it should be part of our strategy to make our website compliant with accessibility to allow people with disabilities to use the site. This approach will not only help enormously people with disabilities, but also maximize the number of people using our website and promote our company as socially responsible. Color Management. People with low vision have difficulty in differentiating colors. So color contrast will help them, or I should actually say will help everybody to better read and understand a web page. There are tools that analyze your web page and search for color contrast issues among others. As an example, search the Chrome Web Store for automated tools such as Wave or aXe. Web Page Structure. Each web page should identify the language being used, and have a title and headings descending in size. Content should be structured to include header, navigation, main, and footer sections. HTML Semantics. The inclusion of HTML5 in our code makes accessibility compliance much easier, as HTML5 includes tags, such as <header>, <nav>, <label>, <footer>, etc. which are self-explanatory. This approach reduces the use of Aria attributes, which prevents us from writing additional code. Nevertheless, there will be circumstances where we need to use Aria – please retrieve the latter link for more information. Link Management. The links’ text must be clear and informative. You should avoid using key phrases, such as “Click Here”. Text Alternatives. Elements such as images, which cannot be seen by visually impaired people, should include a text attribute – which is called ‘alt’ and describes the image – as an alternative to the image. You should also include a text alternative to video and audio. Keyboard Operability. People motor impaired cannot use the mouse. Consequently, it is necessary to provide functionality via a keyboard, so the user can use the ‘tab’ key to navigate through your website. Focus Management. We need to programmatically give focus to certain elements, so we can browse the website with the keyboard. As an instance, if a dialog box pops up, the user should be able to close it by pressing the ‘Enter’ key. In order to press the ‘Enter’ key, it is necessary to programmatically give focus to the ‘OK/Close’ button. In order to make your website accessible, it is important to invest time testing it. Hiring a person/consultant with disabilities to test your website should be a part of your company’s strategy. Keyboard Functionality. I first test the web pages using the keyboard to make sure the elements are tabbed on a sequential order. Testing on Screen Readers. Afterwards, I test the web pages on Voice Over, which is a screen reader for MAC computers. However, there are also screen readers for windows computers – please retrieve the latter link for more information. Automated Testing: TENON / Wave / Axe. I then perform automated testing. I use tools such as TENON. The thought of making a website accessible made me always very anxious until the moment I first used TENON. The use of this tool simplifies the process because it does most of the work for us. This tool scans the pages, and provides a list of errors/warnings and suggests fixes. In addition, I use Wave and aXe. The Wave Chrome extension scans the web page and provides a detailed report on accessible elements and errors. aXe provides an analysis report. If you have any questions, please contact me at maria@mclinteractive.com. I’ll be more than glad to help you clarify any issue you might have or work with you to make your website accessible. What are your thoughts about web accessibility? What strategies does your company use to tackle web accessibility? Have you ever researched this subject? Share your experience and insights in the comments box below. Guest post from Herin Hentry, Senior Test Analyst at Planit, originally published at www.planittesting.com. ‘WCAG is not scary anymore’ was the title of my presentation at A11yCamp, Melbourne 2016 representing Planit Software Testing, Accessibility Services which received good feedback from the audience. I thought I will follow that up with an article to share with a larger audience. This title originates from having a discussion with one of my friends who is a project manager. His team was asked to develop a small-scale website; WCAG Level AA compliant, for production release in 2 months. The team struggled as they found WCAG 2.0 and other reference documents bit overwhelming, in fact a “bit scary” if I use the same words as used by him. Due to the time constraints, the website had to go-live without ticking off WCAG Level AA compliance. This provoked my thoughts. Every accessibility related meetup, forum and conference has been consistently advising to consider WCAG from the early stages of development rather than retrofitting it. But, how to do this is not clear for most of us. 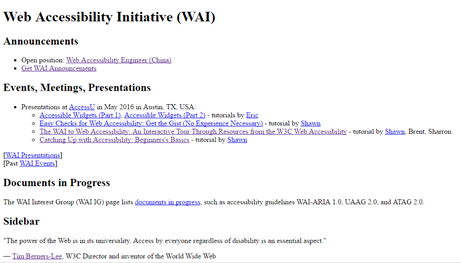 W3C-WAI has documents on Accessibility Responsibility Breakdown for everyone involved in website development. WCAG 2.0 was published in December 2008. But, until now, designers, developers, project managers and content authors feel overwhelmed by the amount of information they need to go through. What seemed helpful was having a step-by-step approach to include WCAG success criteria in the development process. 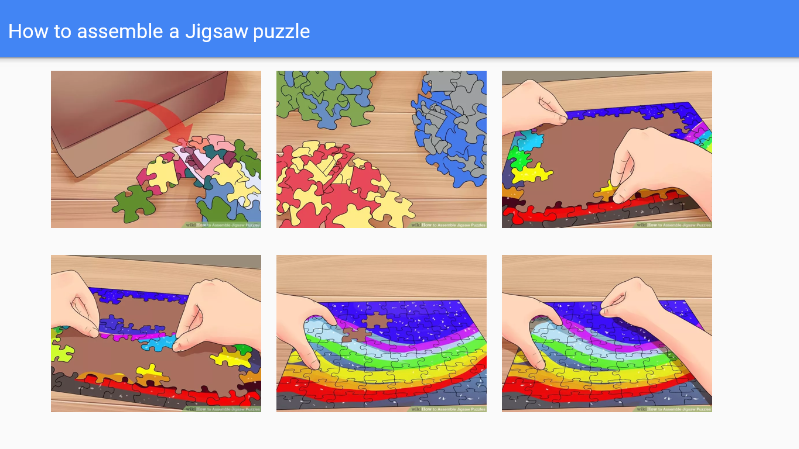 WCAG 2.0: A Jigsaw Puzzle? 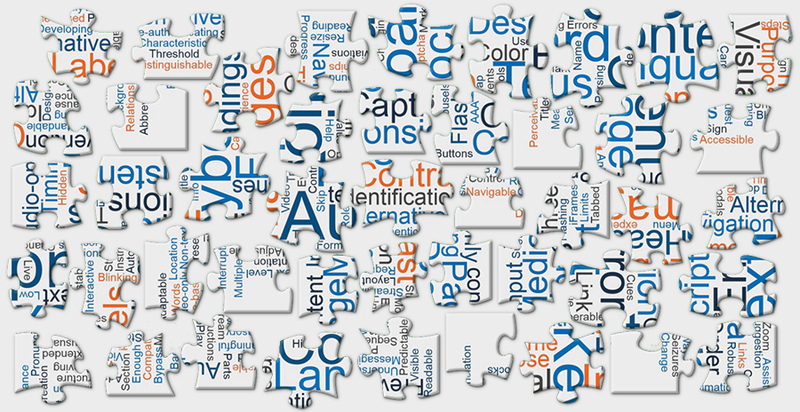 For most of us, even after 8 years of WCAG 2.0, WCAG still looks like a jigsaw puzzle. We have our own workaround, trying to fit things in and it still looks jumbled, leaving us feeling overwhelmed and confused. After having a conversation with few beginners, I felt that there is a need to make them feel comfortable by showing them a different way of looking at WCAG. The puzzle pieces emptied on the table reminded me of WCAG. This sparked an idea in my mind. I started searching for a development process for small/large scale websites. Investing some time to understand the complete web development process and referencing WCAG QuickRef gave an idea for a possible progressive approach for considering accessibility from the beginning of the web development process. I tried to relate the Level A and Level AA success criteria to each stage of web development process. This article lists the success criteria that need to be introduced / considered at each stage. From this point on, this article is structured with a short explanation of each stage of the web development process, the WCAG success criteria that can be introduced at each stage, and the requirements or tasks that need to be relayed to the team. The task list is not an extensive list. Please refer to WCAG guidelines to fit your needs. Whether you are using Agile, Waterfall or another methodology in web development, using a simple high-level document to keep track of the success criteria is very important. This needs to be revisited at each stage throughout the web development process and make sure it is not broken. 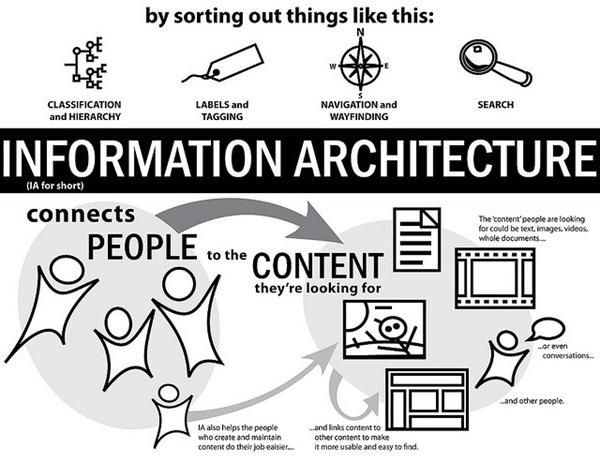 The discovery process helps with identifying the page hierarchy and links content to users. One of the by-products of the discovery process is the site inventory. Making the site inventory user-centred would focus on “How am I going to help the user find the content they are looking for on this website?” Users find their content by the page titles of the content. But, we need to help the users to search / navigate to the relevant content. Having these requirements / tasks listed helps the designers, developers and content writers to consider provisions for including these features, be it adding a link in the wireframe, or using appropriate tags in the articles. Unless you are creating the dullest, most technical website imaginable, your content should consist of more than just plain text. 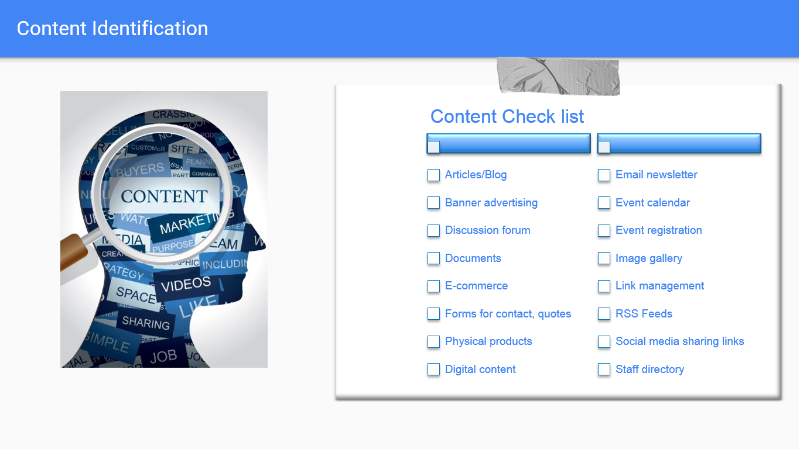 Having a checklist of common types of content helps at later stages of the development process. 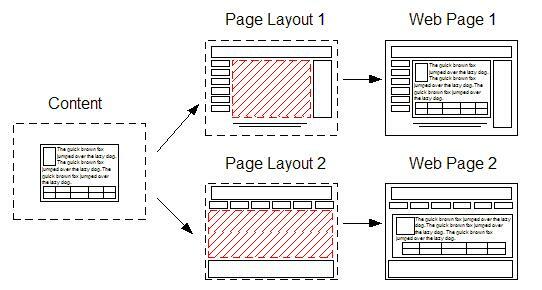 Structure and layout are two terms that are very important in a website design and often get mixed up. The structure is how elements and components of an interface are grouped, defining relationships between those elements and components and is the domain of the information architect. Figure 6 shows a section of the Web Accessibility Initiative home page with style sheets turned off. This page has few headings, text and list items grouped in a very structured and meaningful manner. The relationship between headings and content are very clear. Once the structure of the content is determined, it’s time to move to the first step in the design process which is wireframes. Building wireframes mostly has to do with the layout aspect of web design. They are done as sketches and are designed not to be pretty, but rather to show page layout. 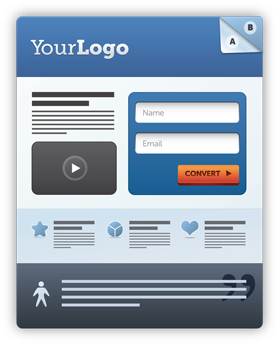 The layout is concerned with emphasis, proportions, and placement and is the domain of the visual designer. The layout of web pages determines the repeated navigation area and the proportion of each component in the web page. Once the layout is complete it’s time to get started on the design. Web design itself refers to the process of creating a web page’s appearance and to the choice of a right colour scheme, page layout, fonts and more. At this point, the web page layout is getting converted into the visual design with buttons, links, text, controls, errors, focus, forms and navigation, etc. Once the sample pages are reviewed and approved, it’s time to create a style guide. A style guide is where proper planning shines. 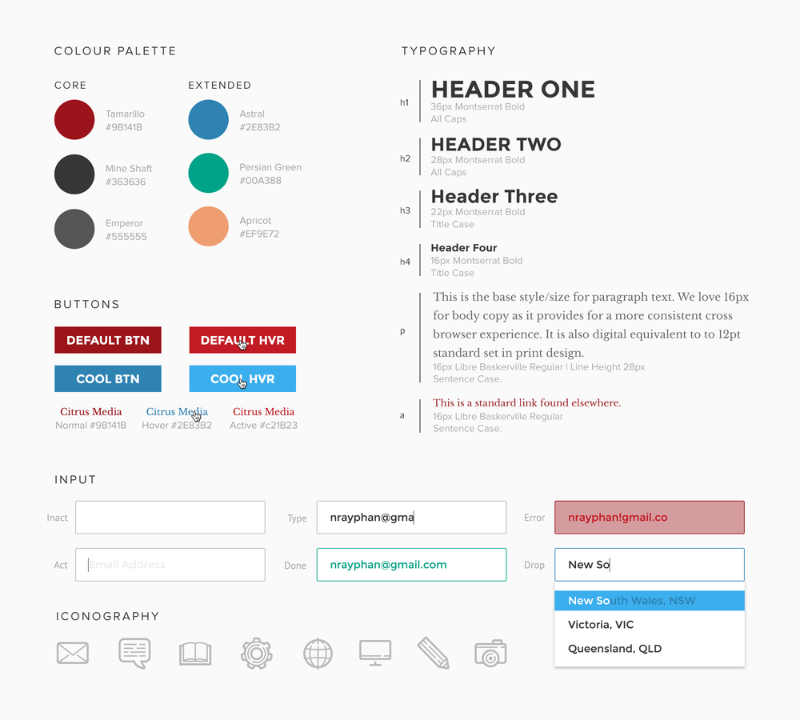 A style guide determines and defines all the design, layout, interactive and type elements used throughout the website. Style guides offer you the chance to present your brand in a consistent way. They help to ensure that multiple authors use one tone. And they help save time and resources by providing an instant answer when questions arise about preferred style. They also help in identifying accessibility issues related to colour contrast, form elements at an earlier stage of your development process. The accessibility rule set for your website can be created as part of your style guide and referred to anytime. I also recommend getting your style guide tested by an accessibility expert. An accessibility expert can help you create a rule set for each individual component of the style guide. This helps in resolving issues at an earlier stage than retrofitting it. If you identify that a textbox is not associated with its label; radio buttons are not enclosed in fieldsets and legends; error messages are not associated with the correct label using ARIA attributes; hover colour contrast is not sufficient; then anything you can imagine in this context will be cared for and treated in the first instance. This prevents fixing multiple instances of the same issue at different locations and affecting your budget at a later stage. Whether you follow waterfall or Agile for website development, I cannot emphasise enough the need for creating and keeping an updated style guide. The developmental stage is the point where the website itself is created. All individual graphic elements from design are used to create a functional site. This is typically done by first developing the home page, followed by a “shell” for the interior pages. The shell serves as a template for the content pages of your site, as it contains the main navigational structure for the website. As the WCAG success criteria have been introduced at every stage of the process and tasks have been created with references for the team, the information has been relayed throughout the process making it an easier transition to development. The developer is not overwhelmed by the rush of information at this level if accessibility has been addressed and included as part of the process. At last, your brilliant design has been converted to code and is ready to be integrated into a CMS. When you have a set of pages created with accessibility consideration from the beginning, test the website for usability, compatibility, functionality and accessibility. Identify the issues, fix and retest. This process needs to be repeated for every set of pages. I also recommend testing with people with disabilities at this stage. Verify if you have included feedback forms / contact forms and accessibility statements as part of your website before you deploy. Deploy the website for beta testing. Prepare a maintenance plan and maintain your website. In Conclusion, What Makes a Website Accessible? How would you explain web accessibility in less than five minutes to dozens of technophobic writers, and convince them to do something about it? Write descriptive link text that makes sense out of context. And you do it without mentioning the Web Content Accessibility Guidelines (WCAG) or hypertext markup language (HTML). This post is for anyone accountable for the success of an accessibility program, especially those of us who must win over members of an obstinate culture into doing things a little differently. I was consulting with a web team that invited me to speak about accessibility during an event for the website writers — all of the people who use the content management system’s drag and drop interface to piece together websites. In other words, coding websites and understanding the nuances of WCAG are not part their day jobs. Convince them that these changes were meaningful, not just more work. Appreciating that their primary job is writing, I focused on actionable steps from their perspective. For example, I would start explaining a best practice with “when you are writing,” instead of saying “make sure you add a text alternative for all non-text content to comply with Guideline 1.1,” and so on. Narrowing down the list of what to tell them was even more challenging. I employed two methods to refine the scope of the presentation. First, I performed a baseline accessibility assessment of their websites and noted quick wins that writers controlled, such as using a true heading instead of a bold font, and avoiding repetitive links on the same page. I noted topics we had to save for future discussion, such as complex infographics. Second, I simply asked myself, if I could only tell them — these very busy people who are not crazy about change — three things they could do to improve their content, what would it be? In order to convince them that accessibility was relevant to their work and the success of their websites, I explained the relationship between search engine optimization (SEO) and accessibility in terms of the code (without getting too technical). But what resonated with them most, were the stories of users and situational disabilities that may affect anyone, including them. Okay, so only a handful of writers actually attended the event, but I didn’t want the conversation to end there. I turned the presentation into the following article, which I hope you can share with your writers or tailor to fit your organization’s needs. The rest of this article is for your writers. How and what you write for assistive technology users can also improve how you rank in search results to drive more traffic to your website. Behind the scenes, search engines and assistive technologies read the same website code to interpret the meaning of your content. But as an author, you don’t have to write in code to advantage content for search engines and make it easier for users to understand your website (and reduce their frustration). Authors have impact through content structure and word choice — the fundamental variables for content optimization. 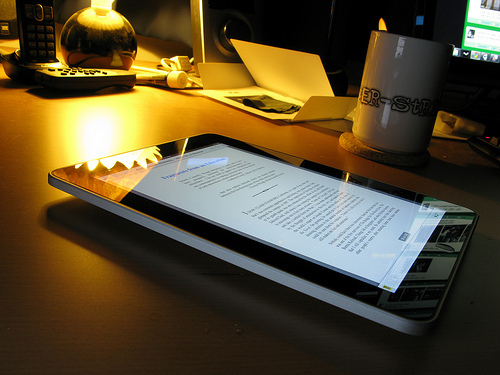 The page title orients all users, and it is often the first thing a screen reader user hears. “True headings” refers to the use of actual headings instead of bold or other styling to indicate a heading. Technology does not recognize styling as a heading. Use headings to break up blocks of text; this makes it easier for users to scan content and find what they need. Headings also communicate content relationships and hierarchies, so always use headings in order. Keywords in headings provide clues to users and technologies about the substance of a particular section. In headings, always favor clarity over cleverness. 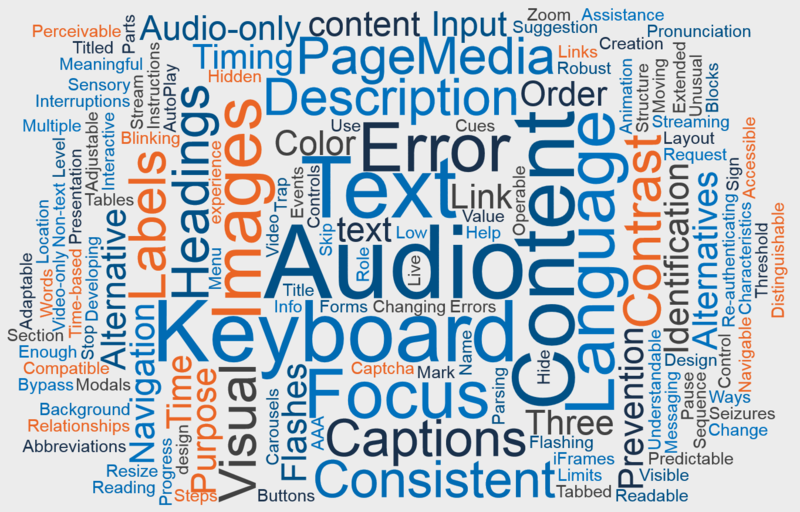 A key takeaway, assistive technology users must use headings to navigate your content. Imagine listening to your entire page without any headings. Like headings, use lists to break up blobs of text. Since lists often contain important information, they can be a cue for both assistive technology users and search engines about the significance of the content. In addition to making it easier for you and your colleagues to search for images, technology reads file names too. When writing alt text, keep it concise and use plain language. Except for logos, never use an image of text. Images of text do not scale well across devices, and neither assistive technologies nor search engines can read the text. A page full of “learn more” and “click here” links negatively affects your site’s usability, the accessibility of your content, and is a missed opportunity to optimize copy for search engine optimization (SEO). Descriptive links are particularly important for screen reader users who may hear a list of links on a page, and because users may not see a link in the surrounding context. For example, how your content looks on a desktop is different from the way it looks on a mobile device. Think strategically about the purpose and value of every link; more doesn’t mean better. Consider “every link as an invitation to leave the page,” Mike Shebanek, Sr. Director of Accessibility, Yahoo. Consider how long it will take you to do the simple things discussed here versus how long and frustrating it is for your users to negotiate unstructured copy and guess as what you mean. By not taking the time to keep your users in mind, you are placing the onus on them to do the work of figuring out your key messages, backtracking when links don’t take them where they want to go, trying to read blurred text on a picture of a poster advertising an event, etc. Still not convinced? These days you cannot predict where your content will end up. People still design and write for the desktop, but users may read your content on mobile devices, listen to your content using voice controlled home speakers, or read your content with assistive technologies. To ensure your words behave as intended across all technologies, adhere to the best practices explained in this article. A final point, you and everyone you know benefits from these best practices. All of us experience situational disabilities that impede the ability to read, understand, and interact with a website. Examples of situational disabilities include the challenge of reading a screen in bright light; scanning an article on a crowded, noisy train; trying to figure out how to book an airline ticket on a site that bombards you with pop-up ads; or watching a funny video with closed captions at the office — and there are many other examples. Note that closed captions were originally created for the deaf and hard of hearing, yet we all use them. In closing, consider all of the ways and all of the devices you use to access content, and what makes the content easy or difficult to consume. Remember, your website is not about you; it’s about your users. Everything on or attached to a website, including text, documents, images, videos, podcasts, PDFs, etc. Useful links are an essential part of an optimised digital user experience. This includes making your links easy to understand and making them accessible. There are two rules in the Web Content Accessibility Guidelines (WCAG) 2.0 regarding link text, also called anchor text. They deal with links in context and links on their own, respectively. This post outlines these two concepts, and what you can do to meet the WCAG. Link text is especially important for users who rely on screen readers and those who browse your website highly magnified. Both of these types of user often miss context around links that others can use to help understand where the link goes. If you are familiar with the WCAG, you will know that it is split into three levels of standards (A, AA and AAA). The guidelines about link text are situated at the lowest (A) and the highest (AAA) tiers. clear from the surrounding context (the sentence or paragraph around it). So, I could link to Wikipedia and it would be clear from the link text where the link leads the visitor. Or, I could link to Wikipedia from here and it’s clear from the surrounding context where the link leads the visitor. At level AAA of the WCAG, a link must be clear from only the link text itself to pass Guideline 2.4.9 -Link Purpose (Link Only). This means that I can link to Google, but I cannot link to Google from here, as ‘here’ is not meaningful in itself. Both from an accessibility perspective and with regards to the user experience in general, you should aim for making sure your users can understand links from their link text alone as outlined in the AAA criteria above. This helps everyone use your website as intended. There is always a way to write your link text so that it tells a user where the link goes. To test your links, isolate the link text and see if you can understand what the link does. Note however, that there is one useful exception to both guidelines to remember. The link purpose does not have to be clear from the text if the purpose is ambiguous to all users. So, I might link this word and no-one would know where the link goes until they click it. During the first meeting for a website redesign project with my new company, I suggested that accessibility be a priority. The project manager said Great Wendy, take a look at the current site and figure out what we need to do. The site had more than 1,000 pages. I had no idea where to begin. Then, I remembered Luke’s checklists. Luke’s series of checklists for the Web Content Accessibility Guidelines (WCAG 2.0) would be the perfect guide. Luke’s checklists are among the resources I keep within reach, pegged on the wall next to my desk. I turn to them when I’m working on my own projects, and pass them along to others whenever there’s an opportunity to do so. Not a developer? Neither am I, but anyone can use Luke’s checklists to identify what’s missing and the problems that impact the user experience, even if you don’t know how to fix them. What’s particularly valuable about the checklists is the association of each guideline with an action — what to do. This makes it easier to evaluate and measure WCAG compliance. I decided to focus initially on identifying common issues throughout the site. I used Luke’s WCAG A, AA and AAA checklists to create an Excel spreadsheet to record my observations. Best practices: sample sites and solutions to inspire and inform our efforts. Following the order of Luke’s checklists, I focused on one guideline at a time — this made the accessibility review far less daunting. For another project that needed a page-by-page assessment, I added column headings for the URL and Page Title, and columns for observations about the content structure, images, alt text, links, and other problems, such as the abundance of PDF links on some pages (a problem because they were not accessible documents). I ended up with a long list of issues to address, but using the spreadsheet made it easy to identify the concerns sensible to tackle first. I looked for issues we could resolve ahead of the redesign through simply raising awareness about accessibility and by educating team members. For instance, authors would often use a bold font instead of a heading in long-form content — easy to fix by explaining why they needed to use true headings. I prepared a short presentation that explained best practices for headings, in addition to other solutions for our content concerns. More complex or technical issues that required planning and more resources were rolled into the project plan, to be considered well ahead of the design and development work. If you need to perform a review page-by-page, first prioritize the assessment either by section or landing pages, or focus on critical user flows, such as a checkout or registration. The critical problems that limit or inhibit access to your content will reveal themselves. This article is aimed at people who find themselves in a similar situation, working as a team of one or a few, with limited technical expertise. The spreadsheet is simply a starting point if you are not quite sure where to begin your first accessibility review of your site. Remember too that the spreadsheet is documentation; evidence that helps support the case for ensuring accessibility is a priority with any project. Even if you are completely new to accessibility, you’ll learn something from the review and take that first step towards creating an inclusive experience for all users. People often perceive accessibility as a burdensome obligation that’s solely the responsibility of developers or an overwhelmed accessibility specialist. I’ve always wanted to change that mindset. During a recent contract, I introduced a strategy to reframe accessibility as a shared responsibility. The ultimate goal is for accessibility to become part of business as usual by involving everyone, including designers, writers, quality assurance, business partners, and leadership. The strategy targets cultural obstacles and promotes the discovery of opportunities throughout a project lifecycle when decisions could and should be made about accessibility. This is inspired by the confusion I regularly encounter when I suggest that all team members can play a role in accessibility. Let’s change the way we think about accessibility, starting with the notion that it’s exclusively a code-based exercise for developers. A lot of the guidance for developers about coding standards also includes recommendations for writing and design, activities in which the user experience team should be involved. This includes decisions about content hierarchy, using the right colors, writing alt text for images, etc. Allowing everyone to own accessibility also makes it possible to catch errors earlier in a project when it is easier and less expensive to fix them. With education and greater awareness about accessibility, what needs to be done and how it impacts the user experience, all team members gain a greater understanding of the role they can play in creating inclusive websites and applications. We interviewed team members in order to understand their attitudes towards and knowledge about accessibility, how they believed different roles might contribute, as well as specific tasks or techniques they would employ. I also spoke to our accessibility consultant and researched the most common accessibility errors across projects. We discovered through interviews with the content team, for example, that they were empathetic and appreciated the importance of accessibility. They were, however, unclear about different types of assistive technologies and how to approach writing for users. This helped us figure out a starting point for education. Use time during team meetings to discuss real examples, project problems and solutions. Invite an expert to talk with the team at a lunch and learn. Host a panel discussion with assistive technology users. We developed an online training course that presented fundamental information for designers and the content team. Key is that we created exercises and provided examples relevant to their work. To further support them, we connected them to a curated list of resources and select tools (otherwise it’s just overwhelming). I appreciate that leadership and management is often where we face the greatest challenge when it comes to accessibility. Too often, there is a lack of empathy, much less an understanding of the technical details. But these are often the same people who write the business requirements for projects and manage the budgets. Among the many reasons I could list, mistakes in business documentation about accessibility cost time and money, and impact success. I’ve heard plenty of stories about project requirements that actually directed people to do the wrong things for accessibility. Team members were frustrated and time was wasted going back and forth to resolve issues that could have been prevented with a shared understanding of accessibility. I’m going to end this section with that statement as there are a great many articles and books with sound advice on how to build your case for unsympathetic leadership — read the foreword and opening in Luke’s new book to start. I’m surprised at the pushback I get for this recommendation. I appreciate that different disciplines traditionally had their own lingo, but as technology allows us and requires us to work more closely together, we should explore opportunities to communicate more efficiently and effectively, and avoid misunderstandings. One of the most relevant examples for accessibility is the confusion over alt text, what it means, what it should say and how it behaves (some still test its existence by rolling over an image). Across software, Content Management Systems and people’s preferences, I see it referred to as title text, image caption, image descriptions, text equivalent, etc. Can we at least cut it down to two references? HTML5 is as an example of technology that can support a shared vocabulary and only make it easier for teams to get on the same page. For instance, with the placeholder attribute, it could be possible for writers, designers, and developers to share an understanding of placeholder text, what it is, where it goes and how it works for users. Along with guidelines on colors and fonts, rules on Oxford commas and bulleted lists, add design and writing guidelines and best practices for accessibility into your branding, design standards, style guides, and other team resources. Among the topics addressed, our editorial style guide included guidance on writing descriptive links and being mindful of the need for visually hidden labels. The color palette described the WCAG standards for color contrast, linked to select online color contrast checkers, and provided several options for accessible and acceptable color combinations. A critical piece of the strategy, accessibility has to be (or become) a corporate value — just part of what you do. Leadership must communicate that accessibility is a priority not only in words, but also in action. They help team members find the time to learn, create opportunities for conversation, connect people with great resources and lead by example. 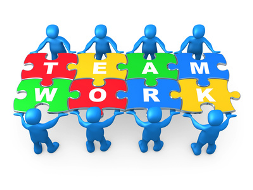 They empower all team members to question things and provide them with recourse to correct problems. I’ve heard too many stories about people who noticed accessibility errors, but could not or did not feel comfortable saying something to their supervisors. And talk about it. We find time to talk about responsive and mobile; let’s talk about accessibility. Exactly what this looks like will vary across organizations of course, but the opportunity exists in every Content Management System (CMS) I’ve encountered. Once designers, writers and publishers understand more about accessibility, they can leverage related features in your CMS beyond just the option to add alt text for images. A great example, when your content specialists understand things like the fundamental HTML for structuring content, we can prevent some of the messy much less accessible code that’s generated from What You See Is What You Get (WYSIWYG) editors. Instead of using a bold font to create headings and dashes to create lists, when writers know how to structure content with clear, ordered headings and bulleted lists (in addition to using plain language), it’s a win for the code and consumers. 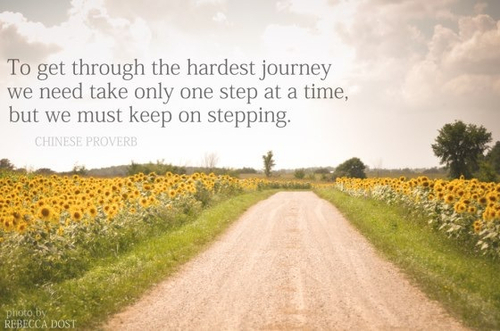 Identify criteria to measure the progress, effectiveness and success of your efforts. There are undoubtedly many opportunities to align your accessibility efforts with business goals, such as reducing customer service calls due to usability and accessibility errors with forms. Talk to your teams and speak with your users before, during and after launching elements of the strategy. Expect to revisit elements of the strategy as you write, design, develop or lead teams in the creation of a great experience for new technologies. To realize the full potential of the web, accessibility must become part of business as usual. We achieve this through greater engagement and collaboration across teams and disciplines, when we all contribute to creating an inclusive experience for everyone. I recently started a new job, so my next step is to discover opportunities to employ and implement some elements of this strategy. I’ll report on how things go with my new colleagues. I know what I have presented will not solve all accessibility problems, but I hope these ideas at least inspire discussions that may not have happened otherwise. Please share your feedback and stories about efforts at your organization to involve everyone in accessibility. Sharing our knowledge and stories is how we make things better… for everyone. Alt text is a description of an image that cannot be seen by a sighted user but is available to blind users via screen readers. When it comes to the web accessibility principles, the inclusion of an alt attribute with an image in HTML code needs to be at the forefront of the developers’s mind. They provide for a rich user experience for every visitor to your site by offering the content of the image in a text-based format. If you don’t provide alt text, then a screen reader will only to say IMAGE or provide a useless file name. When creating alt text in your code, it is important to remember that these descriptions should be kept short. The longer the text, the more difficult it is for the screen reader and the browser to read it. I have on occasion found myself typing extremely long descriptions of images, including every artistic detail contained within it. While this could be commended, it may not be helpful. Remember to provide a description that is useful in the context of the document and keep the word count short in the range of 5 to 15 words. You may be able to skip over purely decorative images, but those that have significant information need to have this information spelled out in the alt text. When it comes to images that have only been included for aesthetic purpose and which serve no purpose other than enhancing the mood of the page we still need to include an alt attribute. In this case the attribute can be empty (alt=””). In general, alt text should be kept short. However, some images might be so complex that extra information needs to be provided. In these cases, it may be beneficial to repeat the description in a text-based format below the image so that all users benefit from the information. If I could give any additional words of wisdom they would be not to overthink alt text. It should really just be a simple sentence that adds to the content of your website. By including it in your code, you are demonstrating that you are an inclusive developer, one who wants your content to be available to everyone.